See how to build word processing or page layout documents on your iPad or iPhone with this in-depth video tutorial! Pages for iOS is a powerful App that is available at no cost to any iPhone or iPad owner. With Pages you can produce letters, flyers, business cards and posters along with entire books or reports with interactive graphics and media. Within this tutorial, we cover all the basics of Pages for iOS along with some advanced features. Both the word processing and page layout abilities of Pages are discussed. See how to format text into paragraph styles, links, and lists. We also go through how to create bookmarks and add images or video! – If you are also a Mac user check out the tutorial on Pages for Mac! – To learn more about how to use iOS 11 overall watch the iOS 11 Core Concepts Tutorial. To review last years new features take a look at the Learn – What’s New in iOS 10 Tutorial! 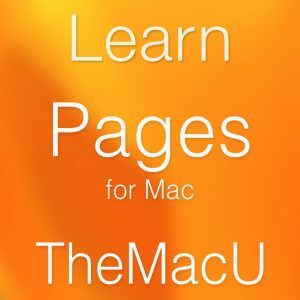 Free Lesson: Bookmarks in Pages for iOS!